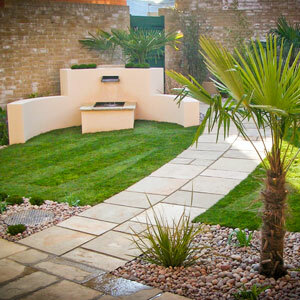 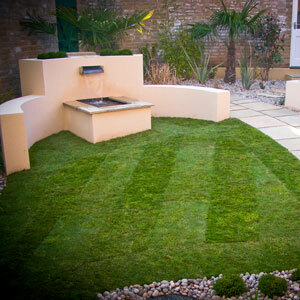 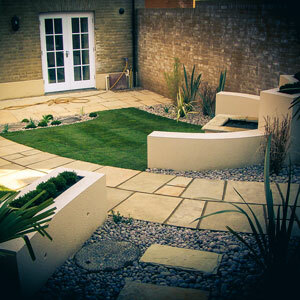 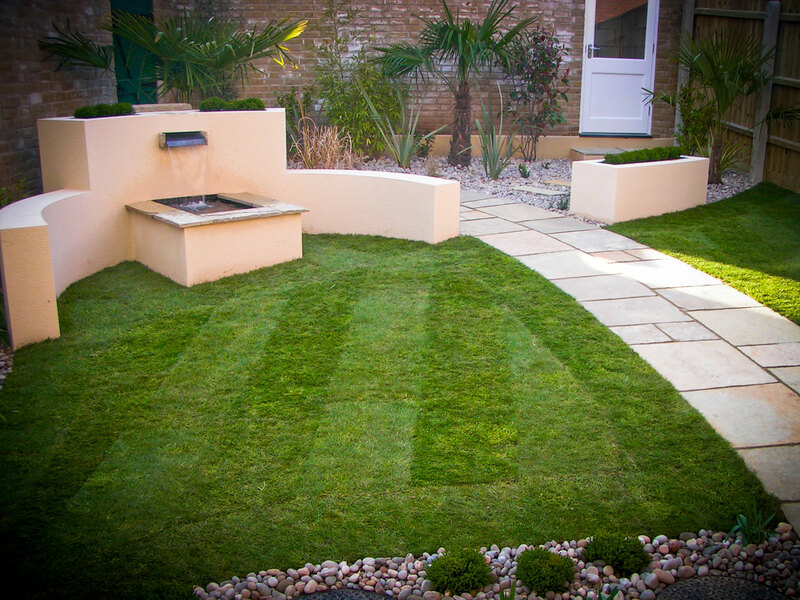 The brief for this garden design was to create a sleek, modern garden incorporating the sound of running water. 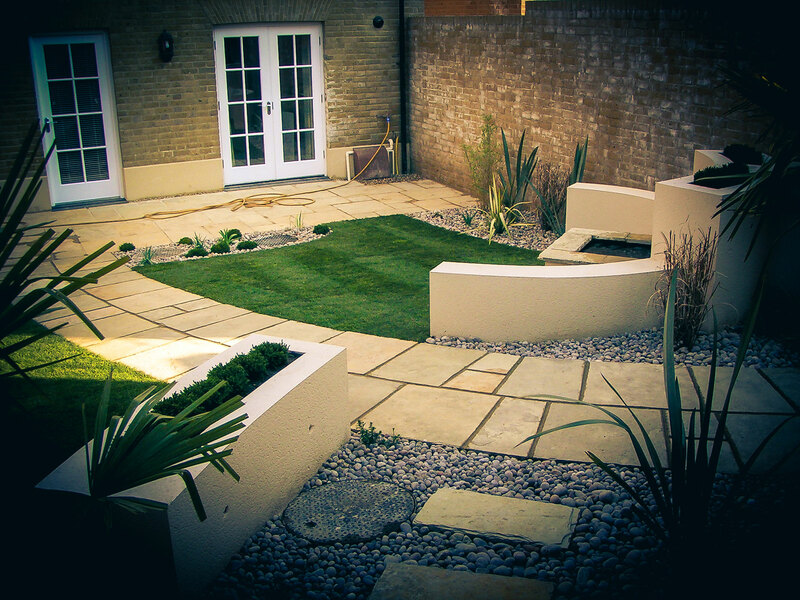 The focal point of this design is the large curved wall with a built-in water feature, which can also be used as a seating area. 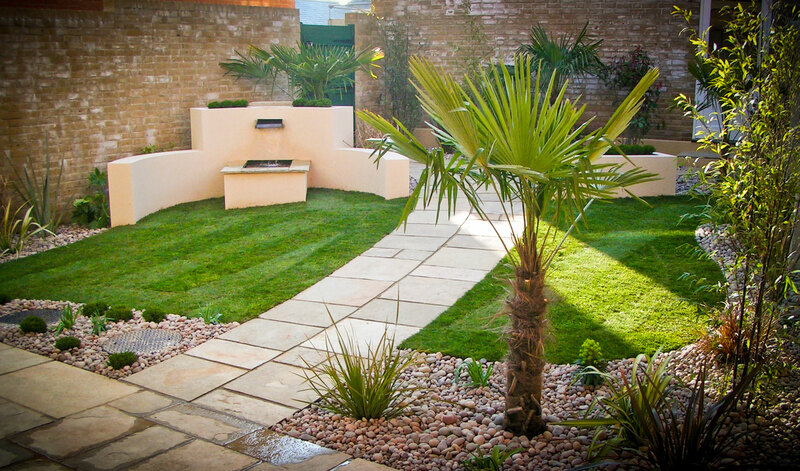 The white, rendered walls give a dramatic contrast and backdrop to the spiky exotic foliage of the Chusan palms and integrated plant scheme, resulting in a garden that is visually pleasing and relaxing to be in.